An endless debate has raged among audio lovers since the introduction of the Compact Disc in 1982. Detractors of the format complained of a “harsh”, or “bright” sound and stood by their vinyl records as the truest form of music reproduction. Those in the CD camp extolled the format’s ease of use and setup, lack of pops and clicks, no need for extensive cleaning procedures, and the fact that they could hold more music. Both sides had valid points; early CDs did not sound very good for many reasons. The first CD players released used inferior decoding equipment and frequency cutoffs, fixed in later players by better circuitry and processors. Additionally, recording engineers in the early days of CD were not used to mixing and mastering for the format, hence the unpleasant sound. As for vinyl, the drawbacks are still clear: dust and dirt affects the sound, the grooves eventually wear out, and the frequency response is slightly more limited. Not to mention that turntables can be fiddly, complex things to set up (although some people like them for that). My opinion on all this is that both formats are equally valid in anyone’s colleciton, and like pretty much anything in hi-fi, it’s all up to the listener’s personal preference. My vinyl collection is currently bigger than my CD/SACD library (and my MP3 list is bigger than both, more on that some other time). My preference for vinyl or CD depends a lot the type of music. Jazz and classical seem to fit CD better since there is a lack of surface noise, which can be distracting with quieter instrumental pieces. 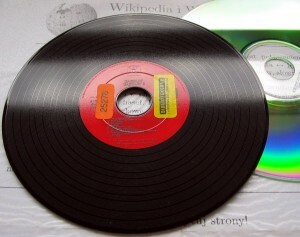 Rock music is more at home on vinyl, partly for the “authenticity factor”, but also because louder instrumentation tends to cancel out any noise caused by debris on the record. But what I like the most about vinyl is the artwork. It’s much larger, bolder and overall nicer to look at than the tiny renditions squeezed onto a CD booklet. 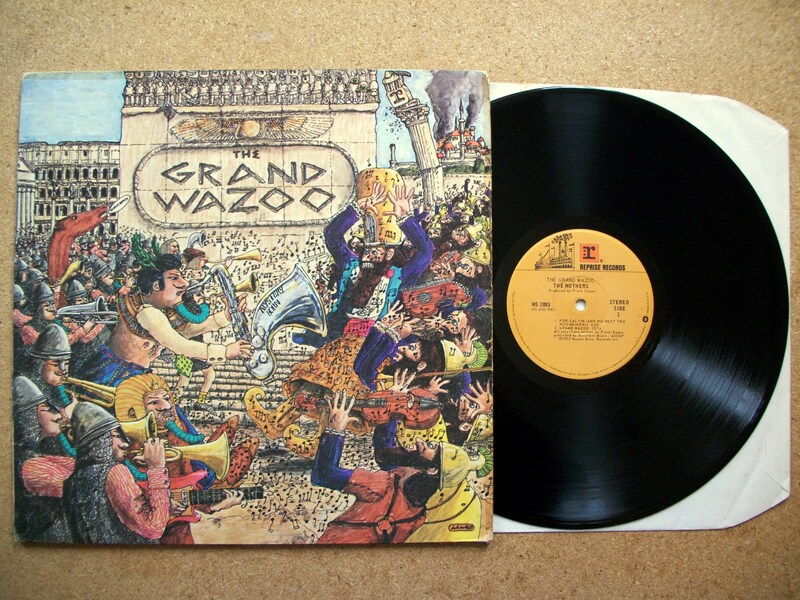 For example, the artwork on the CD version of The Grand Wazoo is cramped and compressed, but on the vinyl version’s cover you can see much more amusing, Sergio Aragones-esque detail. So for hi-fi newbies, there is no need to throw out your CD collection. If you’re looking to start a vinyl collection, a good place to start first would be a local thrift or charity store. The records are usually incredibly cheap, but the drawback is the selection (hope you like Barbara Streisand or Herb Alpert and the Tijuana Brass!) and the physical condition of the records is often quite poor. But at around a buck a pop, its not a huge loss if you take one home and find it unplayably damaged. Within all the crap, there are hidden gems at these stores; recently I got the first two volumes of The Beethoven Bicentennial Collection (by Deutsche Grammophon) for 20 bucks. It includes all 9 of his symphonies and were in great condition.